DART provides access to both major airports in the region. Highland Park residents may reach Love Field Airport via the Orange Line at Mockingbird Station. To access DFW Airport, DART residents may take the Orange Line to the Trinity Rail Express CentrePort Station. Shuttles carry passengers back and forth from the station to the airport. 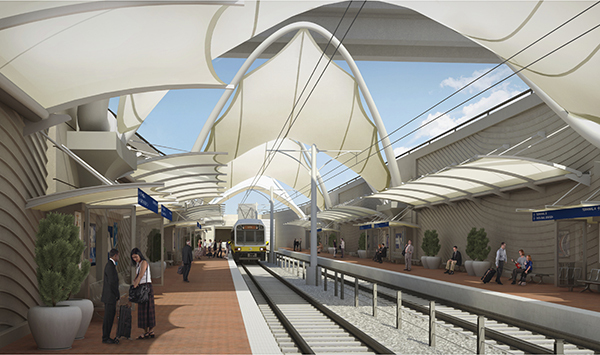 DART will complete the final extension of the Orange Line to Terminal A of DFW Airport December 2014. Soon, residents of Highland Park will be able to enjoy an easy trip from Mockingbird Station to DFW Airport.